Home » Automotive » Time for Windshield Wiper Blades? You should check your wiper blades regularly for signs of wear, because they deteriorate over time from use and environmental factors. Even when deterioration isn’t clearly visible, wipers can develop common problems such as streaking, skipping, chattering and splitting. If you can hear your windshield wiper blades skipping along your windshield, chattering noise, the coating on your windshield wiper blades could be worn off of the rubber wiping edge may have losts its flexibliity to flip over during the wipe. If your windshield wipers are leaving streaks, and there’s no dirt or grime stuck to your windshield, the rubber wiping edge of your windshield wiper blades are probably cracked. If your windshield wipers are missing areas of your windsheild it means that the blade is partically worn out or the wiper tension arm spring has lost its tension. If your windshield wipers are smearing rain and snow across your windshield, and there’s no dirt of grime stuck on your windshield, it’s a sign that one or both of the blades has lost it’s edge. Why Buy Winter Wiper Blades? Regular windshield wipers can’t offer you superior visibility during winter months. Winter blades can. Reflex Ice Wiper Blades have been developed by German engineers for harsh, sub-zero degree Canadian winters. An integrated outer shell seals out ice and snow while the flexible aerodynamic wind spoiler improves airflow, giving you a clear view at highway speeds in any weather. Reflex Wiper Blades are made with a unique rubber compound that resists tearing and ripping even down to a frigid -40 degrees Celsius. These are blades that can handle harsh winter weather. 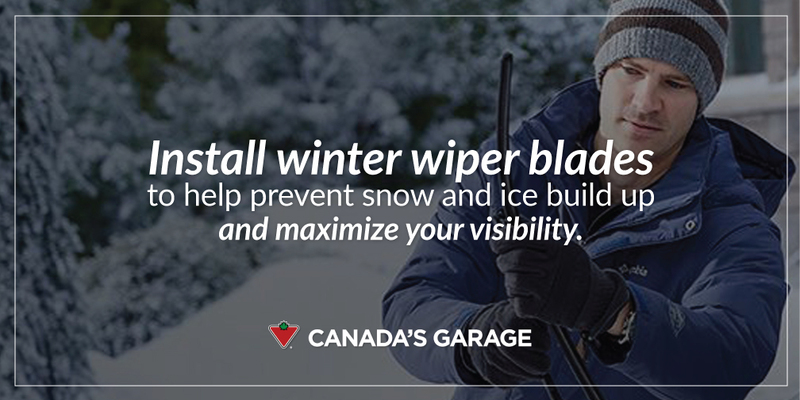 To find out more about the Reflex wiper blades available exclusively at Canadian Tire. 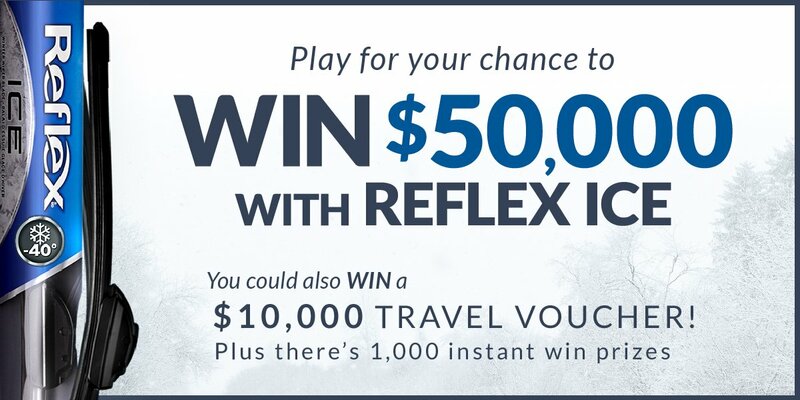 Canadian Tire DRIVER is out and Canadian Tire giving you a chance to win $50,000 with Reflex Ice! Click here to enter http://drivercontest.canadiantire.ca/. This was a sponsored post. All opinions are our own.